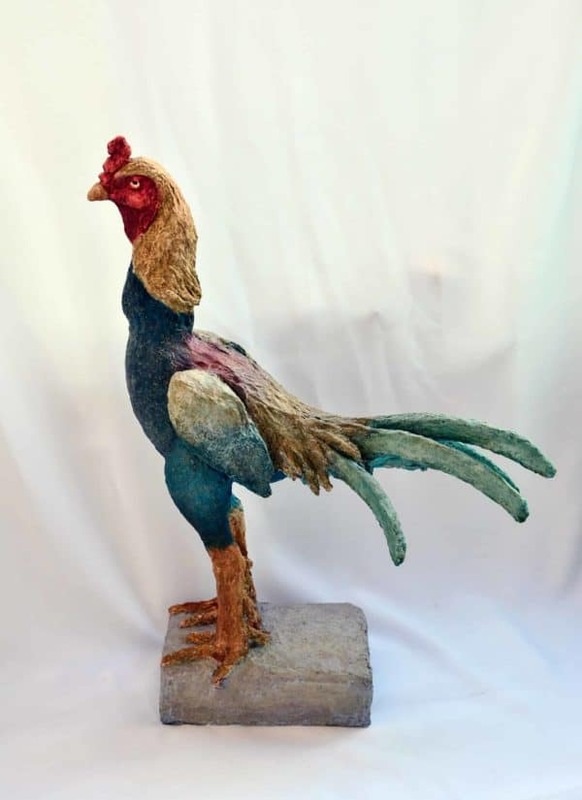 This cardboard sculpture of a young fighting Indian rooster took a long time to complete, approximately eight months. 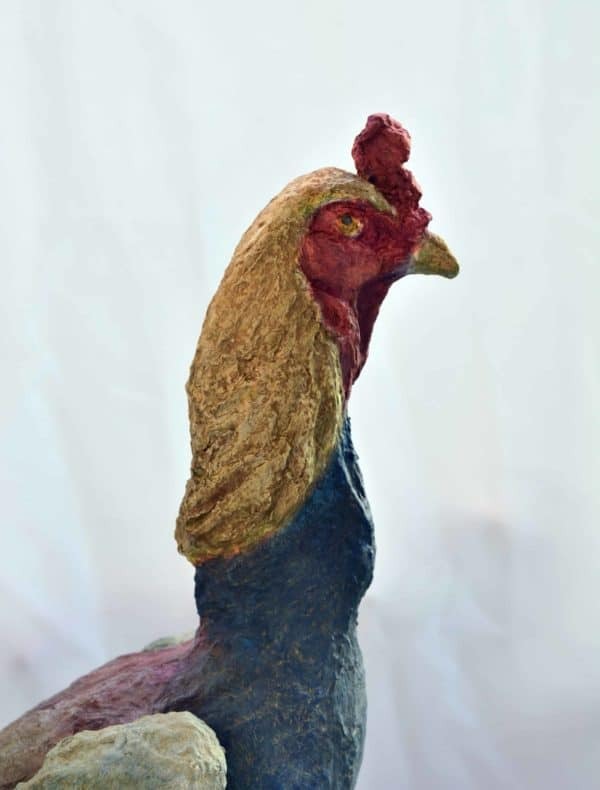 It was made from recycled cardboard paper and acrylic paste & paint. Each part was sculpted separately, in order to have them slowly dry, and the different parts would not be bent while drying. 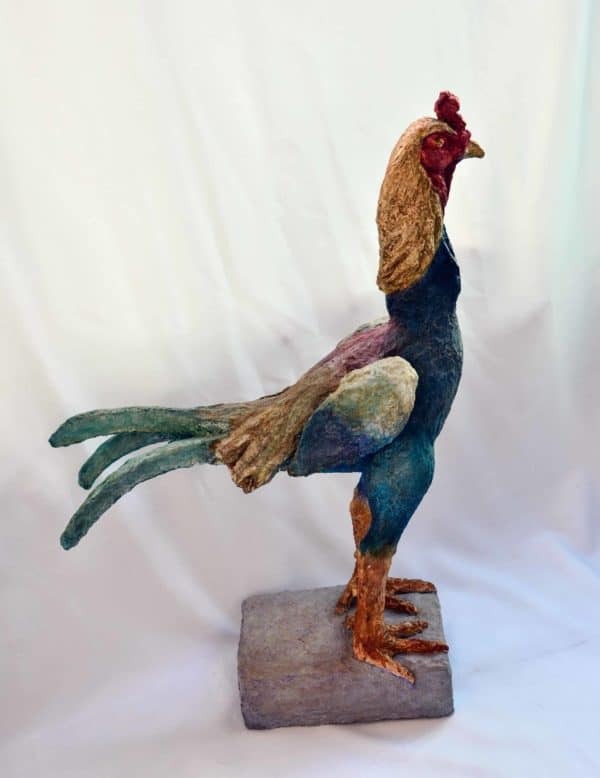 The dimensions of the sculpture are 63cm height, 57cm length and 27cm wide. To built it, I sculpted layer over layer, and this is a very very long process. In the end, the sculpture becomes very resistant, even more than wood. Then, I painted the sculpture with acrylic paint but still wanting the original material to show through.